The Queen City is less affordable for renters than all of Penobscot County, the state of Maine, and even Portland, a rapidly gentrifying hub more than twice the size of Bangor, according to Maine housing data. Bangor’s low supply of affordable quality housing, compounded by its residents’ lower median income, is one of the reasons city officials have organized a nearly 20-member committee tasked with drafting possible solutions before the end of the year, Community and Economic Development Director Tanya Emery said. State and federal standards typically advise renters or homeowners not to spend more than 30 percent of their monthly income on housing. Anything higher is considered a cost burden. In the Greater Bangor market, nearly 60 percent of renters cannot afford to buy a median-priced home or rent a two-bedroom apartment without devoting more than 30 percent of their income to housing, according to 2017 Maine State Housing Authority data. 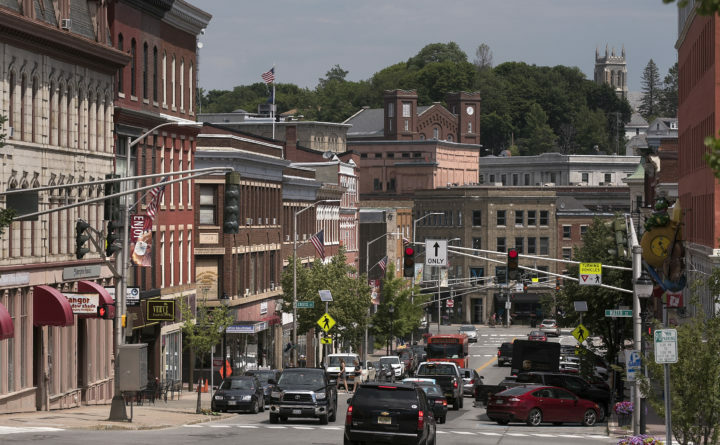 In the Bangor area, the median annual income for a renting household is $27,000 — about $6,100 less than what’s needed to afford an average two-bedroom apartment at $828 per month. The same goes for homeowners in Bangor, where the average cost to own a home is nearly $23,000 more than what the average buyer earning $36,000 per year can afford. The disparity is slightly less pronounced in Greater Portland, where the median annual income for a renting household is $37,800. With the average cost of a two-bedroom apartment at about $1,000 per month, renters need to make $41,100 to keep their housing costs below 30 percent of their income. Data like this will help the committee, slated to convene Sept. 12 for the first of five meetings through October, put Bangor into context with the rest of the state, Emery said. The committee includes 17 public and private community stakeholders, including landlords and representatives from the Bangor Area Homeless Shelter, Penquis, the Penobscot Community Health Center, Bangor Housing Authority and Partners for Peace. Solutions to close the gap might come in the form of new ordinances that allow homeowners to rent a room above a garage, for example, or a backyard tiny home. Updating city standards to incentivize developers to build more affordable units also will be considered, as will ways to help property owners quickly sell or rehabilitate aging or dilapidated houses, Emery said.